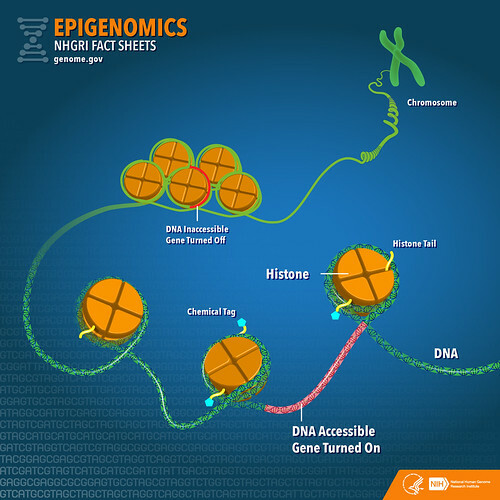 The epigenome is made up of chemical compounds and proteins that can attach to DNA and direct such actions as turning genes on or off, controlling the production of proteins in particular cells. When epigenomic compounds attach to DNA and modify its function, they are said to have "marked" the genome. Epigenomics is a field of study where researchers try to chart the locations and understand the functions of all the chemical tags that mark the genome. Credit: Darryl Leja, NHGRI.